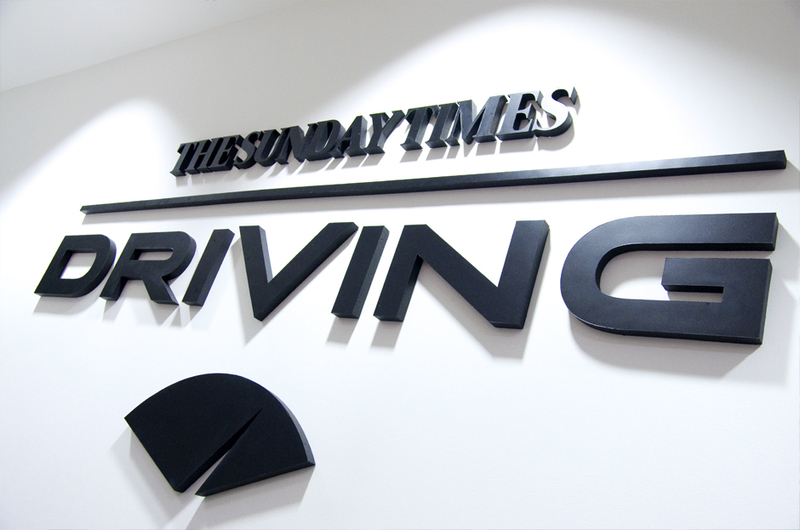 Sunday Times Driving provides a personalised and easy-to-use way to search for used cars. 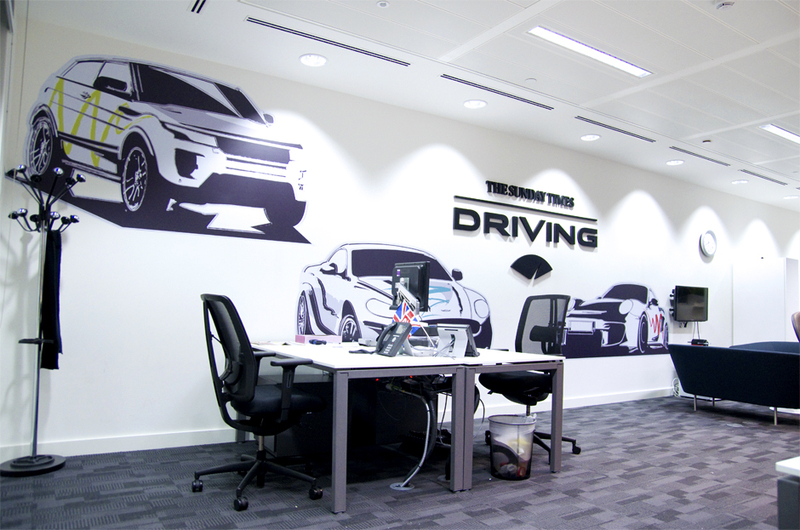 We were given a budget to design and produce some wall graphics that would clearly define the new Sunday Times Driving department. We were given the logo and brand guidelines to work with and using their colour palette we decided to draw some sketch type illustrations of elite cars. 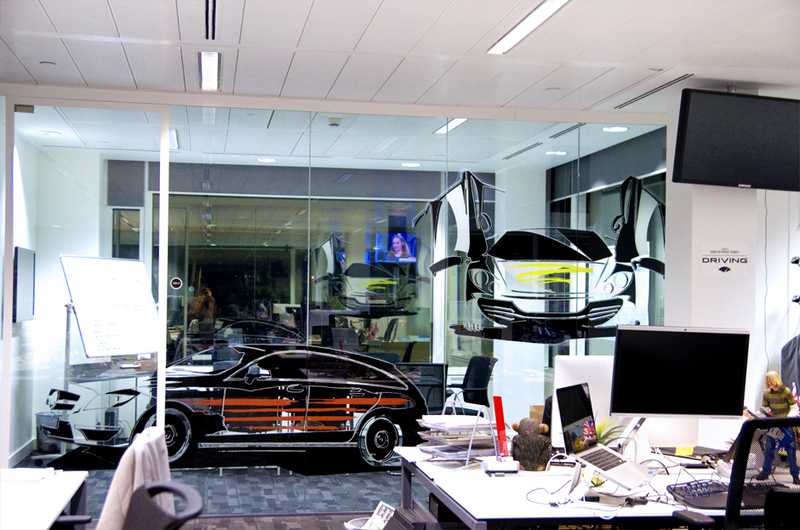 These were then printed and cut out of vinyl and installed onto various walls around the space. 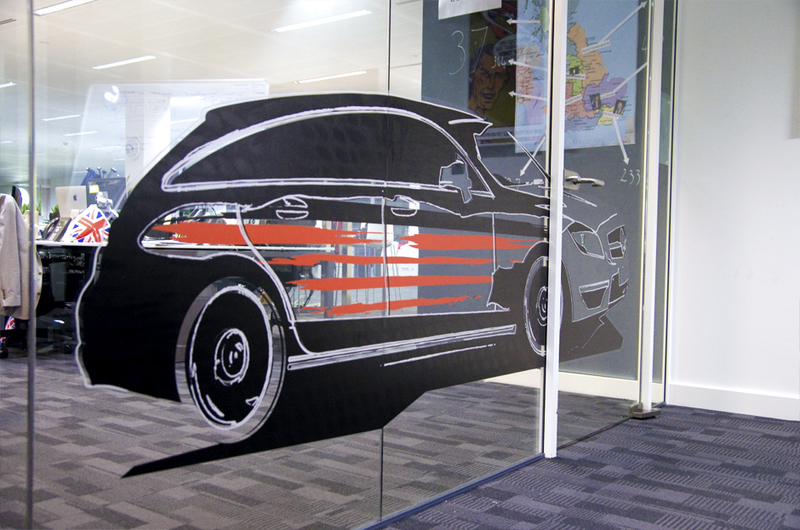 We also printed a couple double sided onto optically clear vinyl and installed them on the glass wall outside the meeting room. Then we created a large 2m logo that was cut and sprayed using foam to create a cool 3D effect.